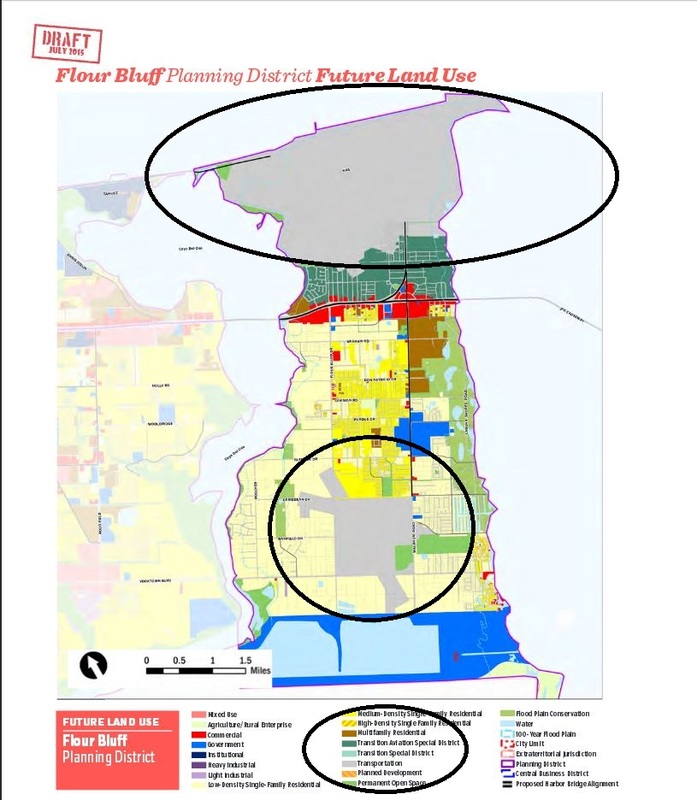 Look closely at the map of Flour Bluff found in the Flour Bluff Area Development Plan. 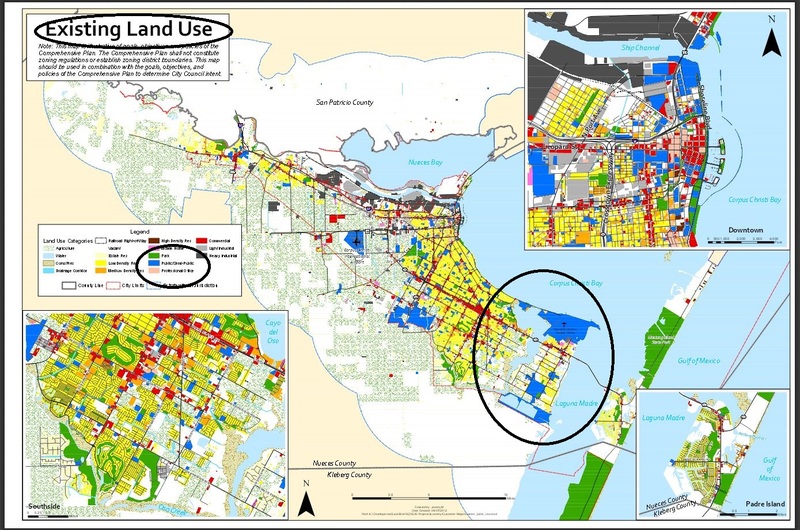 Now, compare it to the Existing Land Use map. Pay special attention to the NAS and Waldron Field areas. These areas are currently classified as Public/Semi-Public. 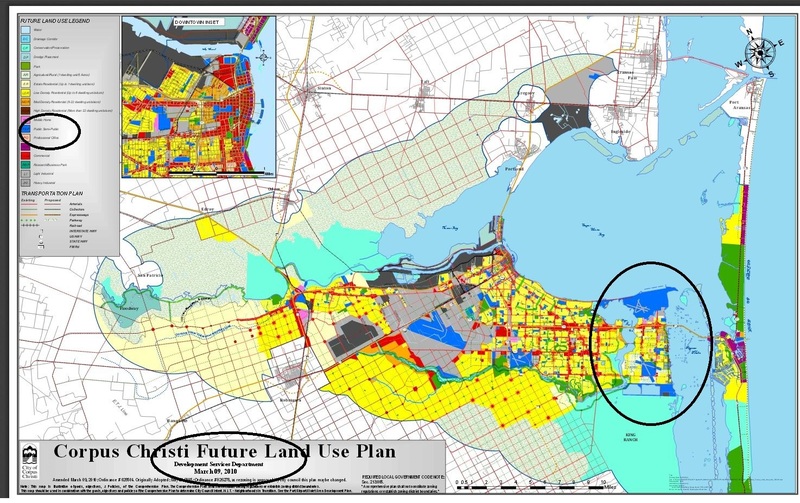 Below is the Future Land Use Map based on the current 1987 Comprehensive Plan. This map was updated in 2010. The property in question is still labeled as Public/Semi-Public. The next map is the one found in PlanCC 2035. Look very closely at the NAS and Waldron Field areas. They are no longer labeled Public/Semi-Public. 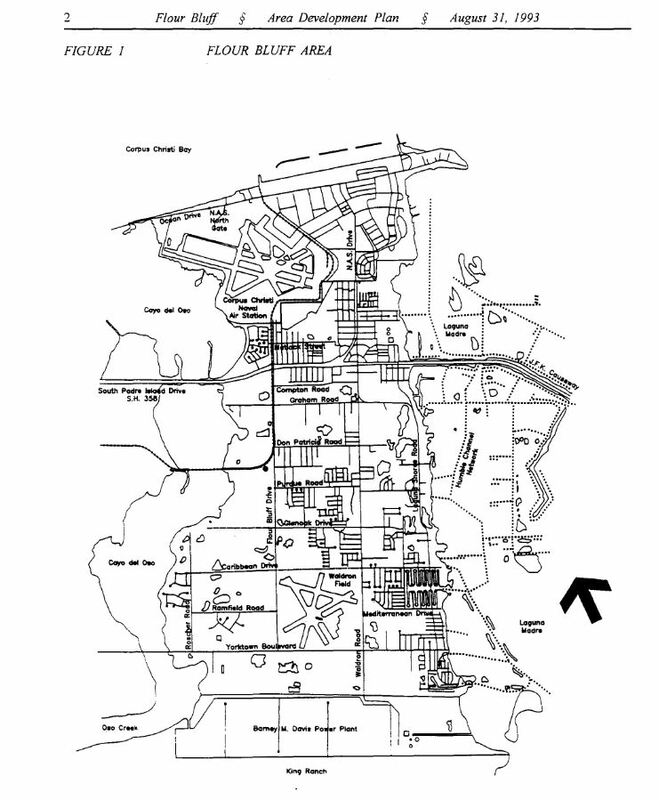 These land parcels are labeled Transportation. Is this just an error made by the high-dollar consulting firm of Goody Clancy? This is entirely possible since they failed to follow the City Charter in other areas. If so, should we tolerate such errors? If it is not an error, what is the map telling us? Is there need for concern beyond what we should already have about PlanCC 2035?